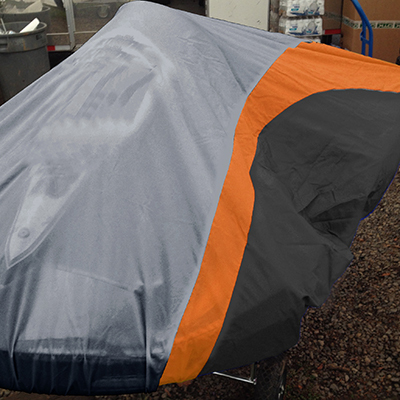 The highest quality, largest Go Kart Covers on the market! For all athletes, including kart racers, nutrition is key to optimal performance. It is important to stay hydrated and full of the correct nutrients in order to avoid tiredness from travel, stress and nerves. Kart racers go all out with energy for a twenty minute race just to sit around for an hour or more until it is their turn again. This up and down of nervousness and adrenaline can really put a toll on a kart driver’s body. Not to mention the amount of G force you may be pulling at any given time straining muscles in the neck and back. Kart racers, and even the mechanics at the track, of all ages need to keep nutrition and staying hydrated a top priority. The adrenaline, nerves and often extreme weather conditions do not pinpoint just one demographic, they affect everyone at the track. These things can severely affect your performance in your races and how you feel all day. The easiest thing you can do to boost your energy and balance out everything in your body is to drink a lot of water. Ditch the caffeine, sodas and even sports drinks and replace it all with water. Many people don’t realize that the sugars found in these drinks can actually dehydrate you, unlike what we assume while consuming them. Almost all over the country a 24 pack of water bottles is only a few bucks, so this not only boosts your performance but also saves you money in the long run. With nutrition and good health comes watching what you eat. You need to stay at a comfortably full level when you are at the track so you do not get distracted or stressed from being hungry. It can be difficult to watch what you eat when all the snack bar serves is junk food snacks, burgers or pizza. However, by packing some healthy options you can balance out your diet throughout the day. Things like granola bars, fruits and sandwiches or wraps are great options to bring with you to the race track. It is important to consume vitamins from fruits and vegetables, protein from meats and snack bars and complex carbs from whole grain breads and wraps. Try to ditch as much processed foods as possible and remember the smaller the list of ingredients is, the better off you are eating it. By just keeping these few things in mind throughout the day you can improve your energy and performance at the track. You will notice a difference in your kart racing and how you feel every day. So keep the water nearby, the snacks healthy and enjoy the races.